← Welcome to Absurdistan: Did a higher Regional Court just kill double opt-in in Germany? 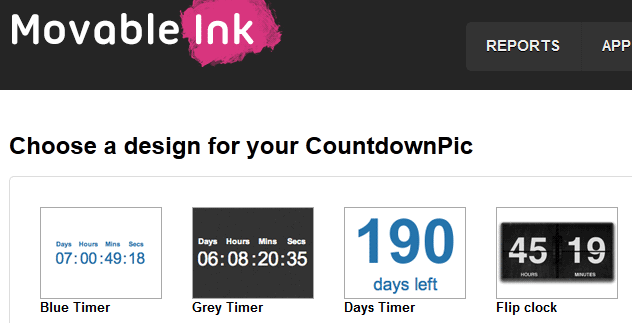 I’m seeing more graphical countdowns in emails lately (e.g. TigerDirect’s Black Friday email). No wonder: They are great means to increase the pressure to act today, and not tomorrow (or never). Marketers use such timers in flash sales and traditionally in their Christmas communication. Typically, around Christmas you see messages like “x days left until xmas” or “y days left until the last order date for punctual delivery”. On every email opening, the countdown image renders the actual time that is left until the offer runs out. Some images even come as animated gifs so that the user sees his time slipping away in realtime. Sounds nice, doesn’t it? So here are two ways, how you can incorporate such timers into your newsletters. The first one is very easy. It goes like this: Set up an account for a service like Movable Ink. 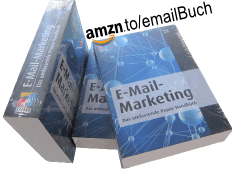 They specialized in offering dynamic images for email senders. (You can also embed live blog posts or tweets using their technology.) Select “New Countdown Timer” and fill out the form fields. Et voilà: You are provided with a little HTML code snippet that you have got to paste into your newsletter. That’s it. The second one is difficult, but – I guess – not too difficult. You would need programming skills. And would also need a scalable server infrastructure, if you send out to many subscribers and if you don’t cap the gif animation to, let’s say, 60 seconds. However, the additional effort will give you full flexibility in design and functionality. There is an interesting discussion on Stack Overflow on how to do it. The php example from Seanja for example worked like a charm – at least on a first quick glance. Maybe you want to forward his basic framework to your IT folks to see, what they can make out of it. This entry was posted in english and tagged animation, gif, xmas. Bookmark the permalink. I use http://motionmailapp.com/ to create my countdown timers. It’s awesome and currently free. Definitely worth checking out! Thanks, Paul. I guess you not only ‘use’ motionmailapp.com but also offer it, right? :-> Besides smelly astroturphing it looks like a cool alternative to the corresponding feature at Movable Ink and its copycat Kickdynamic. Does anyone know what ISPs/clients do support this feature?